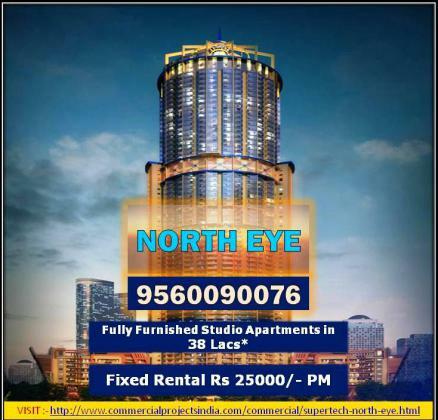 Supertech Limited, one of the leading real estate developers in India presents to you a high-rise residential project named Supertech North Eye. The project will be the tallest residential building in North India. North Eye 66 floors in a building which touches the sky. Supertech North Eye Noida offers 1 BHK apartments in sizes varies from 535 sq ft to 565 sq ft. Every Floor have maximum space utilization. 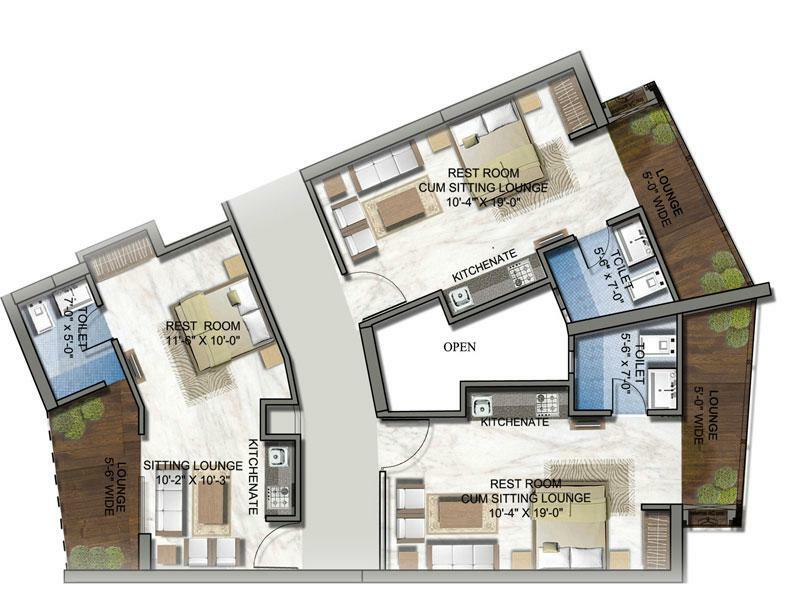 The complex includes many amenities for the residents. This Project equipped with RCC framed structure which offers safety against earthquakes. Numerous CCTVs and fast lifts are also present. Power and water backup are available for 24*7. •	Spa and Coffee Shop.